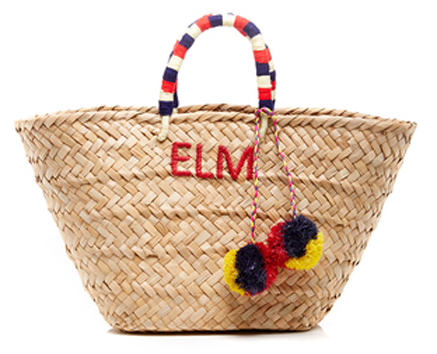 I have a robust collection of monogrammed tote bags in my closet, courtesy perhaps of my east coast upbringing, but now it looks like they won't even see the light of summer days ahead, due to this just-ordered monogrammed basket bag. I mean... how CUTE is this?? Given its reasonable $150 price tag, I'm thinking I should snap up a few more--it comes in other fun colors!--for hostess gifts, mother's day presents, etc. Check out all the options here. Adorable! But what a drag ! these don't even ship until August/October after the summer season!?! Love this! I don't have any monogrammed items but this is a good start! Love your site and your style!